204 | Tak co si dnes upleteme? One size, rather for big girls. Now continue following the instructions below. row 64: k 49, bind off 55 sts, *k 84, bind off 55 sts*, k 49. Knit until you reach the intended length or until 15 grams of wool are left. Knit 8 rows, then bind off with Knotty bind off. 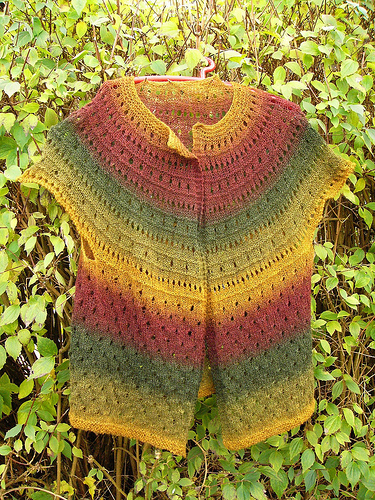 Brigitte creates beautiful wool knitting patterns and publishes her blog in both German and English. Visit her website at http://beyenburgerin.wordpress.com.